I was SO excited to have plans to travel for 2.5 weeks over my 2012 winter break. Nearly 3 glorious weeks of traipsing across 3 different countries — finally I would be reunited with my backpack after a hiatus of a few months. But then I realized that my enthusiasm to be on the road for as many days as possible was going to place me in a rather difficult packing situation. You see, I had plans to visit both the UK and Central America — with no time to come home in between trips. Yes, I was faced with the dreaded multi-season trip; the one where you have to figure out how to pack for multiple climates in one bag. My plan was thus: I would be spending 9 days in Scotland for New Years (Scotland, notorious for its unpredictable weather, especially during the winter months), and then I would be spending another 8 days in Belize and Guatemala, where it would be balmy and humid. How was I possibly going to make do with just a backpack? 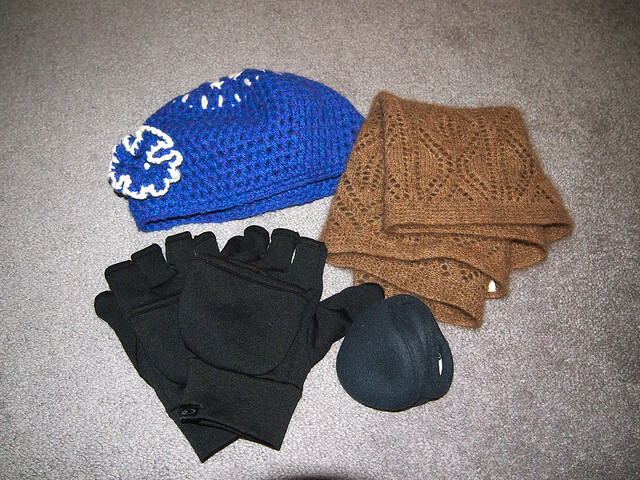 My original packing plan for Scotland had included a hefty winter coat and boots. But that was before I realized I would also need tank tops and a bikini, as well as a place to store said coat and boots when I wasn't wearing them. In the end, I had to get a bit creative. It's all about smart packing, people. And layering. The leggings and t-shirts doubled as my pajamas, and I was able to layer my tank tops under my sweaters for some extra warmth in Scotland. Luckily, it ended up being fairly mild while I was in the UK, which meant I didn't freeze! A small over-the-shoulder purse holding my wallet, passport, etc. Pretty well, I think. I could have left the party dress at home since we ended up renting kilts and tartan for New Year's Eve. And I could have made do with just my 1 bikini (I bought it new for this trip and loved it so much that I never ended up wearing anything else in Belize). The flats also could have stayed at home. But, other than that, I used every single thing I took with me — multiple times. The thing you quickly learn as you travel is that you don't really need all that much by way of clothing. If you're smart about packing layers and neutral colors that can be mixed and matched (and if you're okay wearing the same things over and over again), you can get by with a lot less than you think you need. 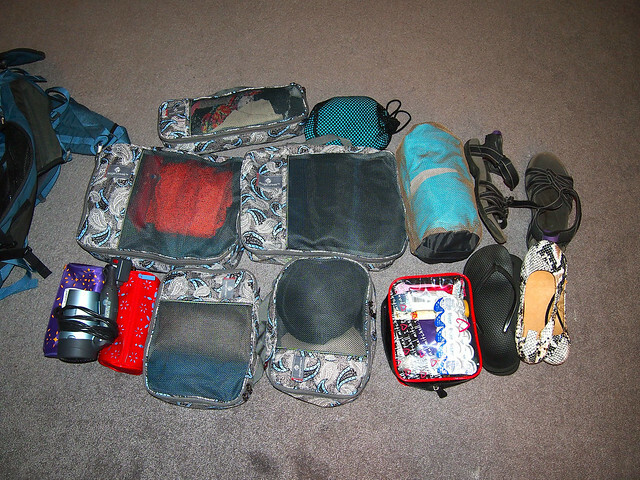 I'm still learning when it comes to packing light, but I'd call this multi-season trip a success. 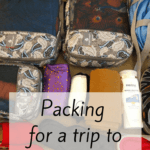 Do you have any packing tips for when you're faced with varying climates? Welcome to my LIFE! We’ve been bouncing around climates for awhile. Right now, from Guatemala, we’ll be heading to the Arctic Circle! I find that the best option for me is multiple jersey cotton dresses. I can put leggings and long sleeves underneath when I need to, or without when it’s warm. It’s the only way I can really make it work! Layering under dresses is a great tip! This is def. one of the problems I always encounter. But especially when it comes to jobs. I like to dress casual but if I am working abroad, or if I want to go out big, I need some more options…however, soon enough your bag balloons. What to do. The fantasies play out as to what you need but the reality is usually different. Eh..what are you doing to do? Yup, it’s definitely tough, especially if you’re working various jobs abroad like you are. I don’t envy you deciding what to pack! I recently took a business trip that included Manila and Shanghai. It was in the 80’s in Manila and in the 30’s in Shanghai. Since I travel with one carryon and a personal item (briefcase), this presented a dilemma. I solved the problem of what to pack by taking a Patagonia down sweater for the 5 block walk to the office in Shanghai plus goves and 360* earmuffs. The down sweater, actually a lightweight jacket, stuffs into its pocket and compresses to the size of a grapefruit. I carried it on the plane in my briefcase and fluffed it out when landing in China. By doing this, I avoided taking a long, heavy, bulky winter coat. I saved weight and bulk. Go down!!! Awesome! It sounds like your method worked really well! I have “what if” syndrome and always pack too much. But I’m really good at layering. Haha, same here, Gaelyn! I’ve gotten better at editing myself over the past few years, but I still usually pack more than I probably should! Oh well. 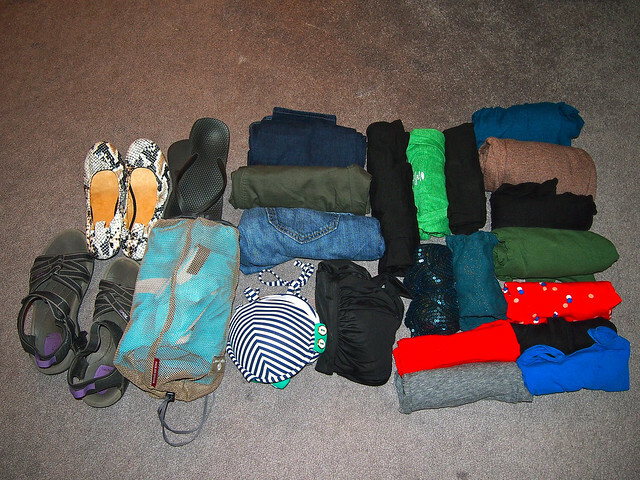 Amanda, what a wild and crazy task of predicting what to pack for two opposite seasons! 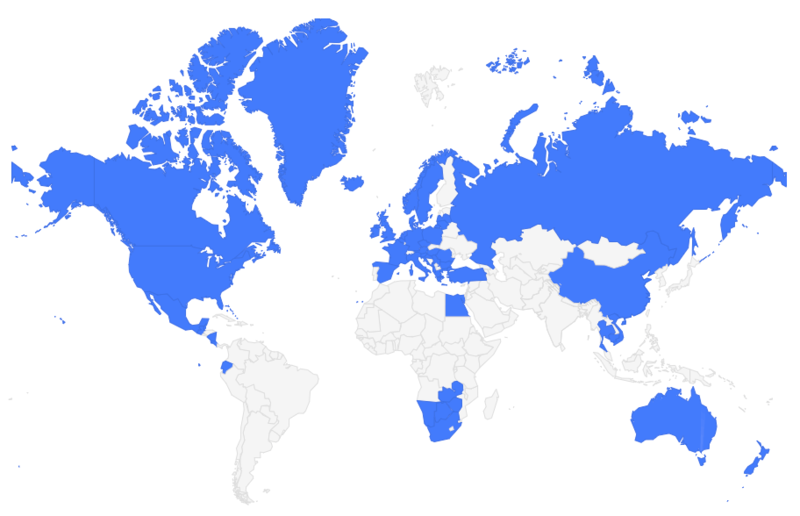 I kinda-sorta did the same for New Zealand (which was a mistake since I was living there anyway) but it seems like you managed to pull it off! I think I definitely pulled it off! But now if the trip had been a lot longer? THEN I would have been in trouble! I am faced with the same problem. Will be going to India (Delhi and Agra) in March followed by Nepal (Everest Base Camp), so need to pack warm clothes and trekking gear, as well as lighter clothes for India. Still not sure what to take, but I guess I have another month to figure it out. My advice is to bring lots of things that can be layered! As well as breathable fabrics that are still warm. Sounds like an exciting trip! I totally agree – layering is key! Being from NZ, my favourite layering items are thin merino jumpers. They’re warm but virtually weightless. Super useful if you don’t know what the weather is going to be like before you head out for the day as they roll up into nothing and can be stuffed into a day bag. Ah, I can’t wear merino! Anything wool-like makes me soooo itchy. Which is a shame, because I know how amazing and versatile merino is! Well done on the packing front! I am so impressed at how small your carry on was! Somehow, mine always ends up bigger. I am also a huge fan of the tripod for photography….I somehow manage to cram it in, but it is always a challenge. One thing I find useful from cycling is the wind proof vest. A shell with no arms, it takes no space in my bag…but for those cold and windy destinations…is great under the cardigan and is virtually invisible! 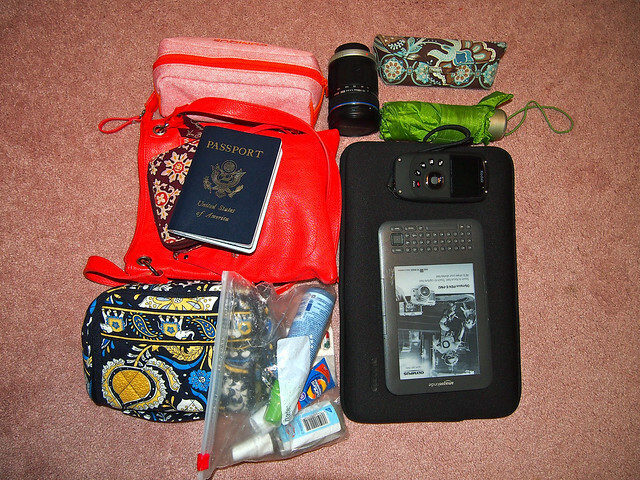 I’ve made huge strides lately in trying to pack as little as possible – including a tiny carry-on! The wind-proof vest sounds like a great idea! It’s totally doable, especially if you travel as light as you seem to! I personally am not quite so minimalist, but I still managed to make it work! By the way, those puffy jackets work wonders when it comes to packing. Most people bring fleece jackets on backpacking trips, but puffy coats are half the weight and stuff down to half the size, plus they’re windproof and do fairly well in brief rainstorms, especially if they have a hood. They also do a good job of disappearing into the pack, since they’re so frictionless that you can stuff them into the “bubbles” that appear while packing. They do a good job of appearing to take up no room at all. One of my favorite ultralight items. I have the same camera and the zoom lens that came with the kit. What is your setup and do you have any additional lenses? This is giving me a great starting point on what to pack for my 10 month trip, that will bring me from the chilly europe and nepal, to the warmth of SE Asia! I’m almost tempted, however, to have someone ship me summer stuff when I arrive in Thailand…I REALLY want to bring some snorkeling gear for Thailand and such…but don’t want to trek it through europe, you know? Totally understand! It’s always an option to ship one wardrobe home and have someone send you a new one (or just go and buy new stuff since clothing is usually pretty cheap in SE Asia). Really just depends on how long your trip is and how much money you do/don’t want to spend. I’ve gone through my wardrobe and eliminated clothes that aren’t easy to travel with. A merino wool base layer doesn’t take up much room and can save you from freezing. I live in Northern B.C. and traded my heavy winter coat this year for my travel raincoat with removable fleece liner, a hoody and a base set from Minus 33. A pair of wool socks helps, too. I used my Merrell hiking boots instead of winter boots, which has been fine, except on ice. The grip has not quite been what I wanted it to be. This is such a hard task – we did it for Snowbombing in Austria then sunshine in Lanzarote last April. I hope you enjoyed Scotland! I found a basic LBD worked wonders with poloneck underneath for Austria and nothing underneath for Lanza. I don’t really wear jeans often so dresses are usually my go-to! Thanks so much for the guidance. As having to Xmas in Cape Town and New Year in Scotland and for 6 weeks, and have presents to include!